If you liked this show, you should follow MargauxJoy. 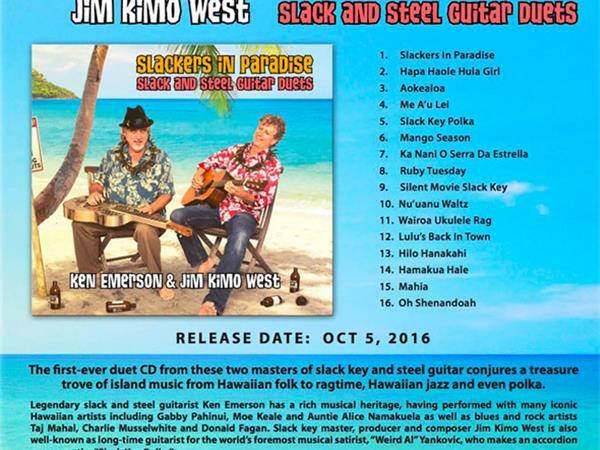 I am excited to have Jim Kimo West as my guest for 10/05/16. 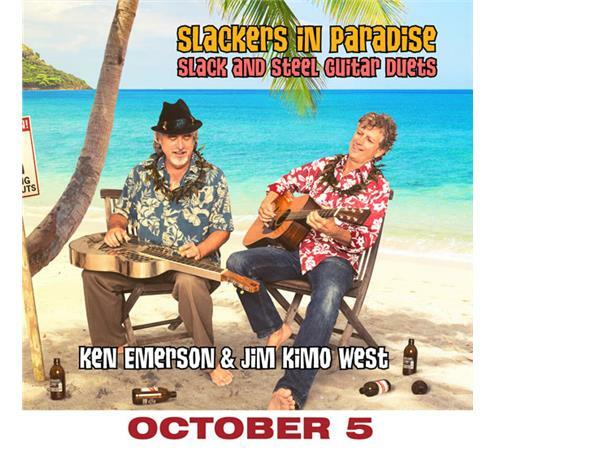 Join us for a conversation about his new album Slackers in Paradise. During the show you’ll get to hear the title song from his new album which is being released the day of the show! Having never even seen Waikiki, Jim Kimo West went right to Hana, Maui in 1985 and spent much of his time there for many years. It was in Hana where he first heard the music of Gabby Pahinui, Sons Of Hawaii, Sonny Chillingworth and Atta Isaacs. Already familiar with alternate tunings, the sound of ki ho’alu became his favorite soundtrack. 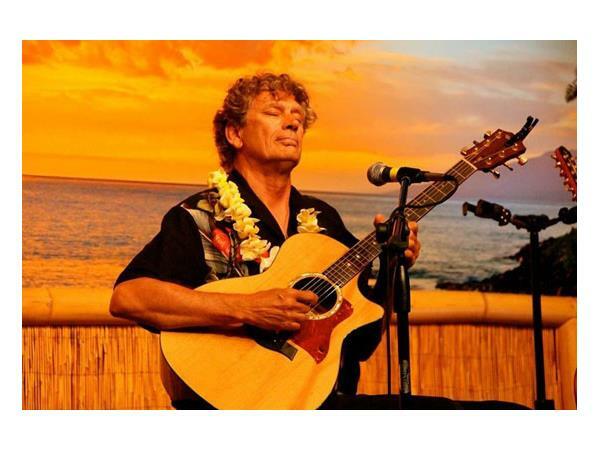 Best known as long-time guitarist for the world’s most successful musical comedy artist, Weird Al Yankovic, Kimo is regarded as one of the world’s foremost ki ho’alu or Hawaiian slack key guitar artists. This warm and engaging acoustic guitar style has it’s roots in 1840’s Hawaii. Kimo is a 2008 winner of the Hawaii Music Awards and two time Na Hoku Hanohano (the Hawaiian ‘Grammy’) nominee. He is also a two-time winner of the LA Treasures Award for his efforts in keeping this important acoustic guitar tradition alive. He is a veteran of Hawaii’s famed slack key festivals as well as the So Cal Slack Key Festival. Kimo has also worked as a composer for film and TV for many years and maintains a sophisticated private studio in Los Angeles. His slack key compositions have been used in a number of features, TV spots, cable, web and in many documentaries.